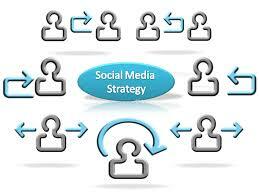 A social media marketing plan should not pose any major challenges to a small business. As in any growing business with a great product or service, the marketing team or person is most likely to be working on different tasks at different times and these tasks can change rapidly depending on the business needs. However, even with taking this into consideration, social media is now so vital to business success there are some tasks that need to be planned as part of the daily marketing routine. 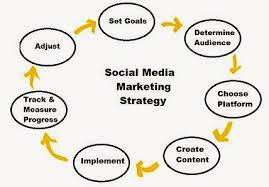 Set the social media goals and objectives. Every article, news release, research or whitepaper are assets in a social media strategy to serve the goals that have been set. As with any business strategy you must know what you are working toward. Is it drive brand awareness, customer acquisition, generate new sales drive traffic, build up your network, reduce the cost per lead. Whatever of any or all of these you need goals and associated objectives clearly defined. When it comes to marketing the product or service, social media marketing success depends on the content strategy a business decides upon. Prior to writing, commissioning or publishing any content, a business needs to understand, what audience(s) are going to be targeted?, What type of voice (expert, commentator, industry) will you use to communicate? Who are you trying to influence? What specifically do you want to achieve (leads, likes, traffic, views or authority)? Allot of strategy answers are to be found in questioning the content strategy so everyone involved in the marketing and sales efforts need to know the why, what and who, understand it and is always in their minds. Content marketing strategy can then be tweaked and optimised as necessary. Fresh, quality, informative and relevant content is at the core of every social media campaign to reach target audiences and ensure engagement. To be seen as an influencer and sector expert it is vital to share new content consistently and regularly. New content when well written (not self- promotional or product articles) and engaging can propel a business forward. This is why the person in charge of the social media plan needs to make sure there is always some new content ready to be shared. There is no hiding the fact that writing content does take time and continuous effort so it needs to be planned. The social media plan needs to have a schedule when content will be shared so all social marketing activities tie back into other marketing events or business plans. Also a schedule will take account for any external events, key word targeting, launches, promotions or seasonal trends that impacts your industry. This is why the content sharing calendar is so important for deciding what social media activities are in the pipeline. While not all content can be created and planned for weeks in advance of sharing, the core, and keyword targeted content pieces that demand more care and effort should be. Selling is not sharing. Share your sector expertise on a regular basis in terms of marketing, insights, research, social stories and commentary to establish your business, product or service as an influencer. For every 1 self-promotional content pieces shared, share 4 quality “industry relevant” articles, also share insightful articles from other authors, comment and add value (not plugging your own business) on forums and groups. As stated above the value a great, insightful and quality piece of content can bring to a social media campaign cannot be overstated. This is why a business needs to spend the time brainstorming content and article ideas. Every business should always allocate time for it on a weekly basis. The reality is that without interesting ideas on content your goals and results will suffer in the long run. Content needs to be kept fresh, up-to-date and interesting in order to continue engaging an audience. An easy way of generating content ideas is to track your competitors and other influential blogs to see what content is working for them. As with most companies, some of your content marketing will be focused on industry news and events. This is why keeping informed of relevant news and events means you will be able to react quickly and creatively to opportunities which can boost your on-line exposure. Many social media managers monitor several different keywords, hashtags, social group and Twitter in order to keep up the date and in the know on trending topics. When the opportunity presents itself, it is vital to be ready to respond. Social media is also a visual channel where images, video and good design can give an added edge in the awareness stakes. Using nice imagery or videos and a visually stimulating way of presenting content is far more likely to reach and engage a large audience. As the volume of content rises across social channel, great content should be complimented with visual impact. A business should working with a designer in order to produce visual elements like photos, infographics and video. To add to organic reach on social networks, depending on your social media goals and business then social advertising on Facebook, Twitter and LinkedIn may be a consideration. Running a paid social campaign might help get the content out to a wider audience and more relevant readers. Whether you are a social media manager working in an agency or working directly for a company, you will need to work with all the stakeholders (management, sales, product, marketing and service) in order to agree on the content to be shared. This is why social media marketers should be spending time with the all the stakeholders to plan for the future as part of the marketing daily tasks. Meeting all concerned can help gain more insights into deciding what type content to create, what upcoming events are there in the pipeline, launches or news that may be of interest and any other ideas to use content to engage the target audiences. Finally but as important is the reporting on social media actions, activities and results. Whether you work for a company or an agency, it is vital to report on the social networks achievements and the upcoming plans in place. This is done by setting up and agreeing on regular reports that monitor the KPI’s or metrics you have agreed on with the stakeholders. For more social media marketing tips, read the marketing category on The Bitter Business. 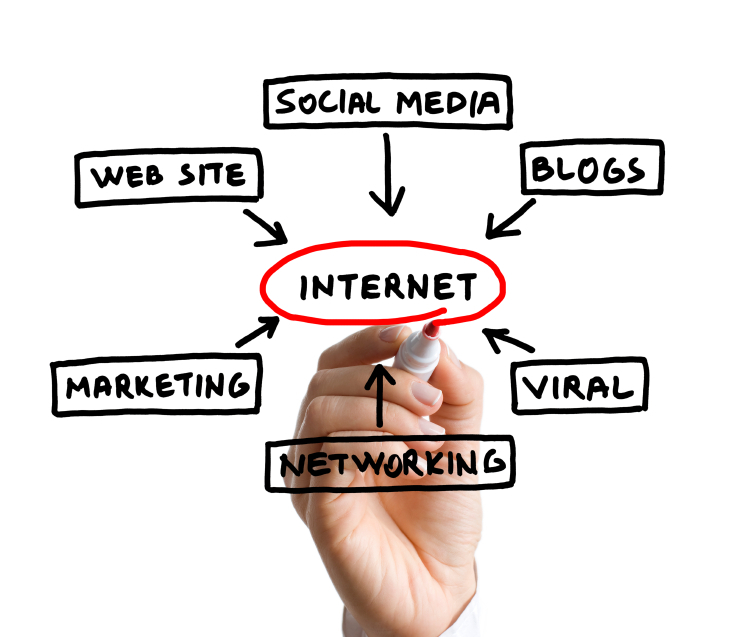 Every business today needs an inbound marketing strategy. In the digital world nearly all marketing efforts are focused on actions like growing web traffic, increasing visitors, gathering sales leads, driving up conversions and securing buyers and customers. Inbound marketing strategies deliver on all the same marketing goals but in a different way. Traditional marketing or push marketing is really about interrupting buyers, trying to get their attention with TV or radio ads, online advertising, cold calling, direct mail to name a few. Whereas inbound marketing is focused on “pull marketing”, devising marketing tactics to get buyers permission to share information as to add value to the buyers journey when researching products or services. Every business will most likely use a blend of inbound and outbound marketing tactics to deliver the targets. Every marketing focused company including marketing automation companies like Hubspot, Marketo, Oracle and SAP all use both outbound and inbound marketing tactics. Indeed outbound marketing activities like cold calling and lead generation by sales teams is nearly a forgotten weapon in customer acquisition as too many companies (especially newer technology focused companies) rely too heavily on inbound marketing to drive the sales pipeline. As a percentage of traffic and sales leads, inbound marketing is now the main driver in getting a brand into the buyer’s awareness and consideration steps when looking for a product mainly due to the non-interruption aspect of inbound marketing efforts. Listed below are some inbound marketing tips to compliment the marketing strategy in pulling in buyers to a business. The golden rule of inbound marketing including social selling is that is it about sharing not selling, help not hype. A business of any size can deploy inbound marketing with some good content and a few whitepapers to start but be aware that inbound marketing will take time to take hold however once traction starts happening , inbound marketing will deliver better qualified and less expensive sources of sales than outbound marketing. The cornerstone of nearly all inbound marketing strategies is “Content” and sharing quality content alone on social networks will go a long way to increasing traffic and leads to a business or website. But like all great strategies there is more to inbound marketing than just publishing content; inbound marketing should also include whitepapers, research publications, social stories, social selling, article sharing, social conversations, reaching social media influencers, article seeding and participation on the social networks. 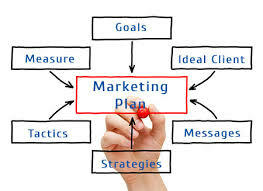 Develop a complete inbound marketing plan. Inbound marketing includes blogging, articles, whitepapers, social networks engagement, social selling, lead generation, traffic and social media conversations. Which of these tactics can be improved? Implement all inbound marketing tactics. A business should never rely on one or two tactics even if you are getting good results from current inbound marketing tactics, implementing all tactics will drastically improve desired results. Don’t forget the “awareness phase”. Social media using content as the lead is where people become aware of your business and they delight in the quality of the content being read. The awareness phase is where you engage customers and prospects for future purchases and opportunities, even in B2B marketing. A business needs to have blog posts that delight, social media content that engages and messaging that keep customers or clients coming back. Before you get a lead or a sale, you need to build awareness. Share the content. Simply posting a new article or blog post and then leaving it to chance that it will be picked up by search traffic or prospects are wasted opportunities. Social media networks opens up the ability to immediately collect traffic and leads based on a new article published not to mention the long tail SEO impact. There is more to sharing content than posting to Twitter, Facebook, and LinkedIn. Sharing content takes time and effort, share across all social networks, forums, groups, while seeding the article on relevant sites like Reddit, Scoop.it etc. Love your social media accounts. Spend time attending to all your social media account, yes they are fantastic broadcast channels but also more importantly a place to build relationships. Have a constant presence and it need not take a huge chunk of time. Share content from other sources, like other articles, reply to messages, engage with conversations and give regular updates. Stay tuned in as Inbound marketing, social media marketing and SEO are in a constant state of change. What is the latest social platform, the coolest social network, what type of content (words, images, videos) are best of which audience? To keep inbound marketing firing on all cylinders, marketing teams have to stay on top of changes and make sure to adjust to new opportunities while refining old ones. Embrace analytics and reporting- The numbers produced from marketing tactics are the key to what is working and what is not. Data and numbers should be checked against goals on a regular basis be it daily or weekly. Ensure all the metrics and KPI’s are in aligned to goals, actions and activities. By viewing the numbers, a business can see where it needs to make adjustments to improve results. Solicit feedback. Chat to customers, other departments (sales), prospects and industry peers about inbound marketing. Where do they go to be made aware, what delights them, and why do they consider one over another? Also sometimes we can fail to understand how integrated inbound marketing can be with other aspects of the business, from outbound marketing campaigns to sales calls to social selling and customer retention for future purchases. How else you can use inbound to get great results? Commit time and resources. Inbound marketing takes time, if it is a real marketing strategy for your business, then investment in time and resources to make it happen is a must. Do not let other activities take priority. Every business that is successful with inbound marketing takes the time to follow through on all tactics, methodologies, strategy and implementation; otherwise inbound marketing contribution to the business is just a wish. Give to get considered. Once awareness levels rise (traffic, reads, likes), start to give more to get into the buyers consideration phase. Offer more giveaways, free trials, deeper white papers, studies and reports. Make it easy for them to consider you, use landing pages, webinars, free samples, and contact us forms so you can move the prospect to a qualified lead. So as you can see, there is more to inbound marketing than a simple promotional blog and posting it on Blogger. Words sometimes can be hard and time consuming to craft, but words are powerful, fun, enlightening and engaging. These words constructed into quality content and shared as articles across deep reaching social networks will drive your whole marketing and inbound marketing for today and into the future. 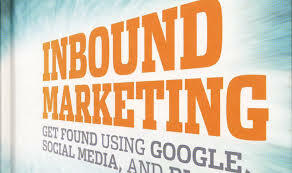 Inbound marketing works as you HAVE READ this article right DOWN TO THE END. As social media grows, the use of content marketing both as a social selling tool and as an audience engagement tool to acquire and retain customers has now taken centre stage within the marketing strategy. The great news is apart from time to preparing the content, content marketing is mostly free but there are some lessons to be heeded. Free publishing platforms like WordPress or Medium, and free content and link promotion on Scoop.it, LinkedIn, Twitter or Facebook amongst others make content marketing a go to tactic for any business. Also listed below is some helpful resource lists covering “content marketing guide” “content marketing tips” “content marketing promotion” and “content marketing publishing platforms”. To ensure content market delivers, a business has to start out with the end in mind, what keywords are you targeting, is your content for industry education or brand promotion. Content articles need to be one thousand plus words and the content needs to be relevant and well written. The use of content Marketing requires creating and sharing meaningful content (white papers, market research, industry insights, market articles) to attract and convert traffic into prospects, prospects into customers, and customers into repeat purchasers. The content a business needs to share should be closely related to what it sells; or more pointedly, words that will educate an audience, market segment or industry so they get to know, like, and be influenced enough to do business with your company. Content marketing is not a one off event, it is an ongoing marketing and sales process that is scheduled, resourced and integrated into the company’s marketing strategy. A company’s content marketing goals should be to own the media space coverage for the topics selected or target keywords chosen. A critical point to note is that content marketing is the art of reaching out to communicate with your customers and prospects without the heavy sales pitch. This has become known as non-interruption marketing. Instead of pushing out products or services sales messaging, using social selling techniques the business delivers information that makes the buyer more informed. The underpinning fundamentals of a content marketing strategy is that if a business delivers relevant, timely, valuable information to prospects and customers, they will ultimately reward the business with purchases and loyalty. 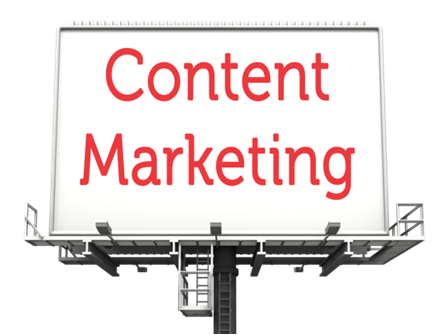 Effective content Marketing is not possible without well thought out and well written content. Quality content is important as it links and impacts nearly all aspects of the marketing strategy. 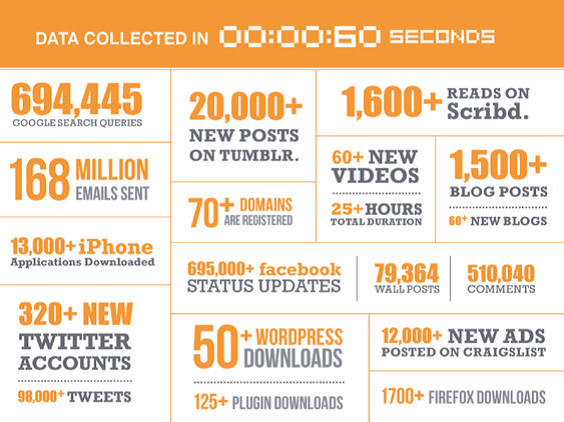 Content marketing strategy powers social media exposure. SEO: Quality content with relevant keywords will impact on SEO and SERP. PR: Content marketing drives successful PR as it shows readers the business cares about them not just their business self-interest. SEM: For paid advertising to work, great content will deliver more traffic/leads. Inbound marketing: Content is key to driving inbound traffic, sign-ups and leads. Content marketing is about telling a different story; breaking through the clutter, winning more customers by marketing more intelligently. The days when a business bombarded a prospect will sales calls and interrupted potential customers with mediocre content (brochures) that customers do not care about are over. Intelligent marketing uses content marketing to draw prospects and customers towards the business by creating information and content they actually find engaging and useful. Start by selecting what industry, keywords, target audience and information you believe they would be interested in. Write about topics the business is knowledgeable on and has expertise in. A company selling interior design could write a fun article about “interior design from the 70’s you want to avoid”. It is not a sales pitch or net, content topics are fishing lines that attract people towards the brand. Engage the customer, give before you ask. This takes time and patience. Writing quality content of 1000 plus words could take 1 or 2 days. Over time, experience will shorten the thinking time but planning and writing takes time. Planning out your content topics a month in advance can make the writing easier and the final content of higher quality. Before writing anything, devote time to keyword selection, topic title, brainstorming the content messaging, finding sources for images and sound bites. So when the actually writing process starts is should be about crafting words. Once the target audience, topic title and keywords have been decided upon, the process of crafting the words into an article can begin. Plan out how many quotes, sound bites you want to include. Always think quality, quality means grammar, sentence structure but more importantly is research based information like the information below on social media. When writing articles (title and first paragraph) think SEO. Google and SERP now rewards higher word count articles and article topics that match the content along with visually focused (video, images). Think like Google does, does this content do a good job at connecting search users to quality, relevant information. Do a keyword search for the planned article title; strive to make it unique while still using the target keywords, example “Easy Content Marketing Tips”. The core SEO is content marketing but by including tips and easy it broadens the article appeal and reach. Before you hit the publish button, check spelling and depending on your content platform make sure to tag it for search terms within the site. Now start promoting the article (posting on to LinkedIn, Facebook, Twitter, Pinterest etc.). Use a social bookmarking tool like AddThis to link your article to social bookmarking sites like Tumblr, Digg, Reddit, and Evernote. This takes time, do not publish and promote the published articles the same time every day or week. Publish the article, and then maybe give it a day or two before linking and promoting it. The old 80/20 rules applies to content marketing, it is 20 percent inspiration and 80 percentage work (research, thinking, planning and doing). There is no magic wand or short cuts, DO NOT outsource your content creation except to a trusted party who understands your business and marketing strategy. Do not copy and paste existing articles, use them for ideas and suggested wording. Content Marketing – Promoting your articles and links. This is a list (not exhaustive) of where to post the article links. Using a social bookmarking tool like AddThis is free and will speed up the process. I find doing it from Firefox is quicker. Also try not to be logged into Google when posting. LinkedIn, Facebook, Twitter, Scoop.it, Nowvia, Evernote, Storify, Paper.li, Reddit, Stumbleupon, Silk.co, Soup.io, App.net, Pearltrees, We heart it, Buffer, Quora, Klout, Google+, Digg, Bizsugar,Disqus, Tumblr, Pinterest, Plurk, Diigo, List.ly, Shareslide, Visual.ly, Bundlr, Soundcloud, Crunchbase, Sproutr.co, selfgrowth.com, prunderground (for PR and SEO), bitly, Owler, Imgur, LiveJournal. Some companies choose to have more than one content marketing platform. Most will use WordPress built into the site and also use a platform like Medium for other articles. WordPress – Blogger – Medium – Glipho – LinkedIn Pulse – Lifehack – About.me – Google Groups – Typepad – Svbtle – Buzzfeed. Lead generation efforts whether online,social selling or via sales team can be one of the most underestimated activities in a business in terms of cost,time and the resources needed. The reality is that before a sale transaction happens (even if your B2C business is on-line), there is a process of generating leads (web traffic, inbound,outbound,on-line, events,shows, etc) and in many cases nurturing these leads over a period of time to turn suspects into prospects into sales. So before any sales happens, a business especially in the B2B environment needs a healthy and continuous pipeline of new prospects to sell to. Generating sales leads is a daily challenge for most companies and according to Forbes Magazine, more than 60% of the marketers polled in a recent marketing survey said their greatest marketing challenge for the year ahead was generating more sales leads to fuel the sales engine, and nearly two-thirds (63%) reported that their marketing mix either doesn’t meet sales demand or they’re unsure of whether their mix is effective. Nearly 40% of those polled cited accurate measurement and attribution of on-line marketing as their biggest challenge. Remarkably, a quarter (26%) of respondents said they do not track leads to any marketing program at all or they only attribute leads to one program. The old saying about “They know half their marketing spend works but not which half” seems to still ring true more than ever. Lead generation can be costly (clicks, CPL, sales hunters) so the business needs to educate everyone that without lead generation there is no customer acquisition and probably no sales. It must be the role of every sales and marketing leader in a company to boost sales leads and reduce the cost of filling the pipeline funnel. This needs to be attacked on two fronts, on-line marketing (push,pull,inbound, lead nurturing) and good old fashioned sales work as lead generation cannot be the function of marketing alone. There is now B2B automated lead generation solutions on the marketplace which radically reduces the time sales agents have to spend identifying prospects. 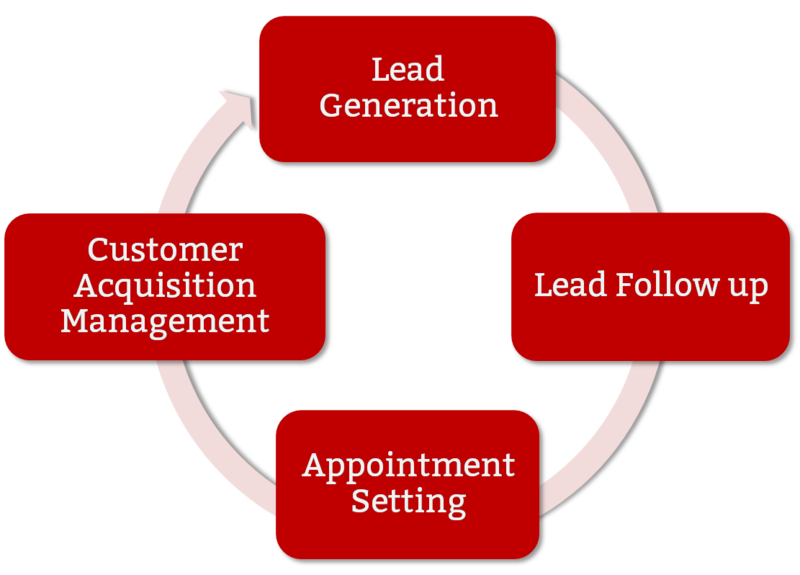 However, lead generation is more than just implementing passive activities like social media, inbound marketing or on-line marketing tactics, the lead generation effort must work hand-in-glove with the sales teams work including social selling, hunting activities around customer acquisition and channel development. 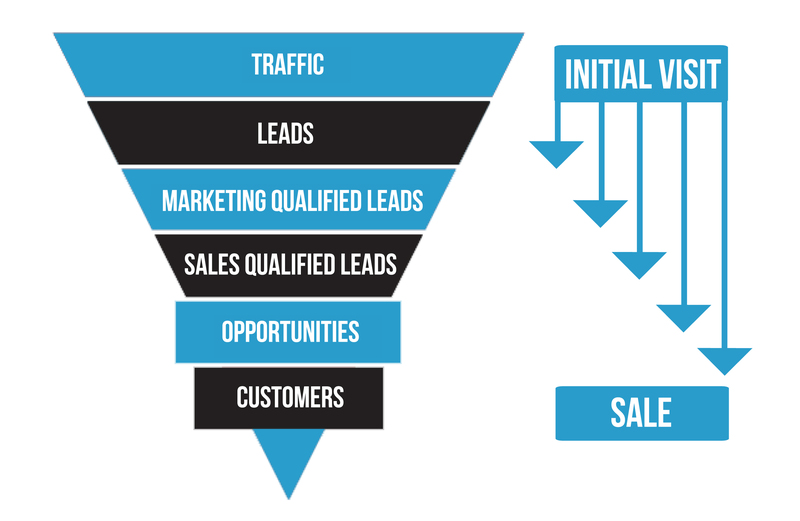 Successful companies know how to build a lead generation machine using multiple networks and sources and then fill the sales funnel with qualified prospects on a continuous basis. Most small companies fail not because of product or they can’t sell but because they can’t build a big enough sales funnel of quality prospects in a timely,cost effective way to work the sales process to drive revenue. There are multiple lead generation tools and resources, for social selling there is LinkedIn, Crunchbase, Owler and other business forums. 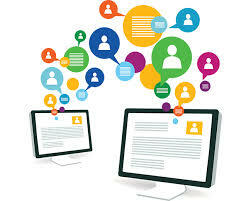 For on-line inbound lead generation, communities like Facebook, Twitter, Pinterest and Tumblr can deliver leads. 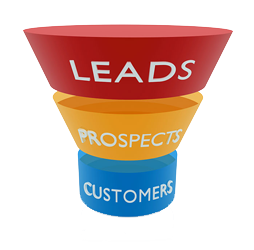 B2B lead generation solutions which cut down on sales peoples time trying to get lists of prospects are provided from companies like Connectors Marketplace, Insideview, Sales Loft and Lead Genius. Regardless of where or how a business sources its sales leads, the cost per lead in customer acquisition needs to be measured across all the channels. The goal is to try and work back which channels delivered not quantity of leads or lowest cost per lead but the channel which delivers the best lead to conversion cost. An example of this is while the good old fashioned trade show might be considered very effective in generating high-quality leads, they are also expensive (maybe as much as €10,000 per lead) and what is the lead to conversation cost?. So build a lead generation process, score or segment every lead, cost every lead and educate all the sales team that when they get handed a lead it has cost the business money to get to the point of just talking.